he clipless Minibille was an elusive pen, introduced by Parker in 1975 for the ladies market. It's similar in a way to the Jotter Minim, as far as being a high-end clipless ball pen. 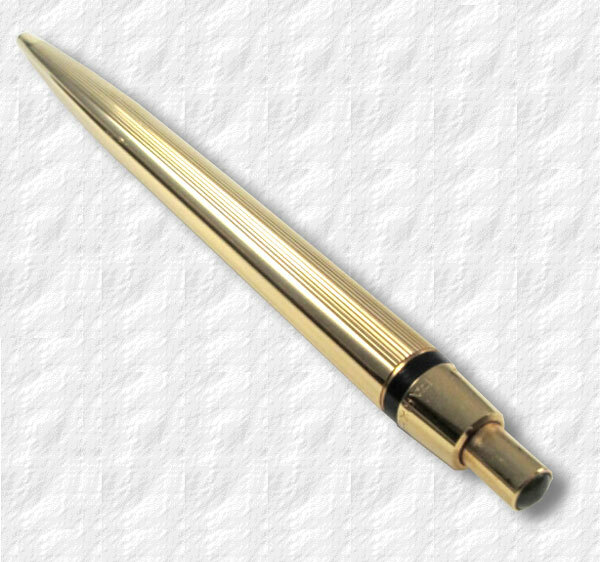 According to Graham Hogg in his book "55 years of the Parker Ballpoint pen" the Minibille was produced by Parker in Meru, France, to compliment the Parker "75" line, which was heavily advertised during this period. 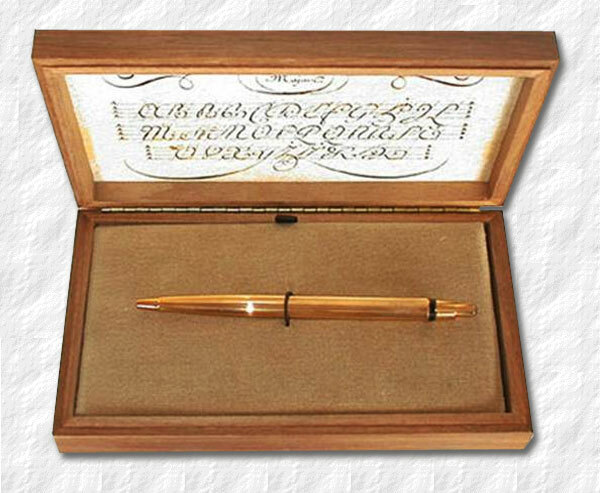 The Minibille was rather highly priced at $75, which could explain the scarcity of this very attractive pen. It was 123 millimeters long and had a broad black band close to the filler button. It came in five, possibly six finishes, following the Parker “75” design. The body was engraved Parker France and sported the Parker logo. It was sold with a leather poch either in brown or snake skin patterned black, also imprinted with the Parker logo. 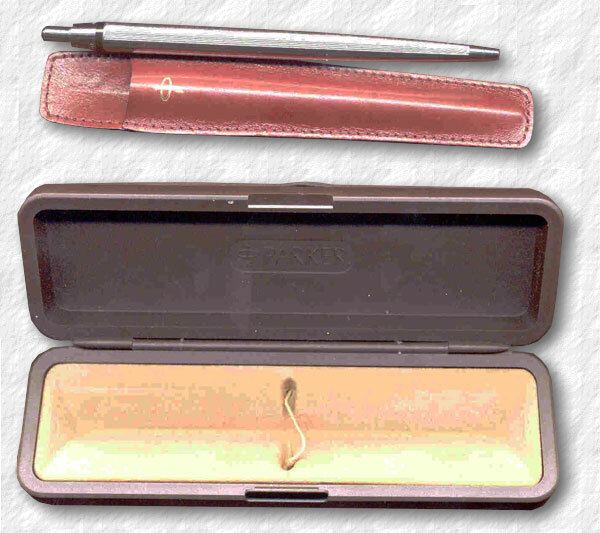 The Gold plated version was also offered in a Parker “75” style wooden box. 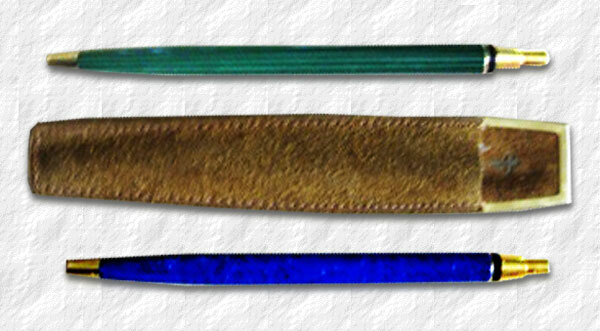 The laquer versions had matching “jewels”. The Minibille was phased out in 1981. 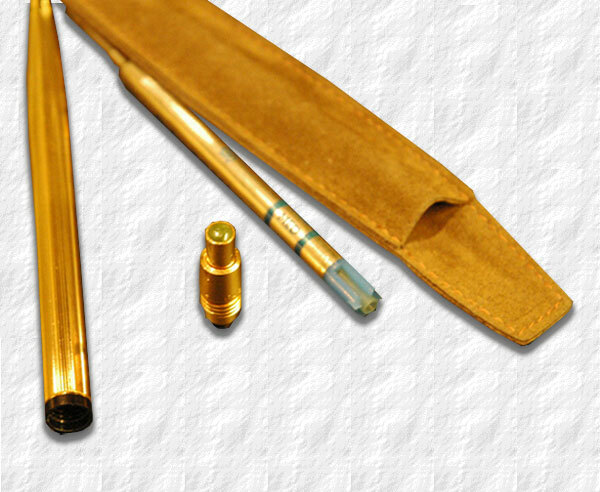 Parker Minibille in Gold filled Milleraies. Image © and courtesy of Peter Maassen. Parker Minibille in Malachite green and lapis blue. Parker Minibille in Thuya brown laquer. It takes a standard Parker refill. Image © and courtesy of Tim Fram. Parker Minibille in Silver Milleraies and a plastic box. Image © and courtesy of Eric Fonville. The wooden Parker "75" style box.